Love it or despise it, OSB is here to stay. But how well suited is OSB for flooring or subflooring? Are there any better options available? OSB stands for oriented strand board. OSB has the appearance of giant cornflakes pressed together to form structural panels in sizes similar to plywood, such as 4' x 8' x 5/8". Floor covering (or finish floor) is the term for the topmost, eventual floor--the floor that you walk on and see. Laminate, luxury vinyl, and ceramic tile are examples of floor coverings. Appearance: OSB is not attractive enough to serve as a floor covering. Not only is the chip-board appearance unattractive, but the surface is also often marked with grid lines and manufacturer markings. 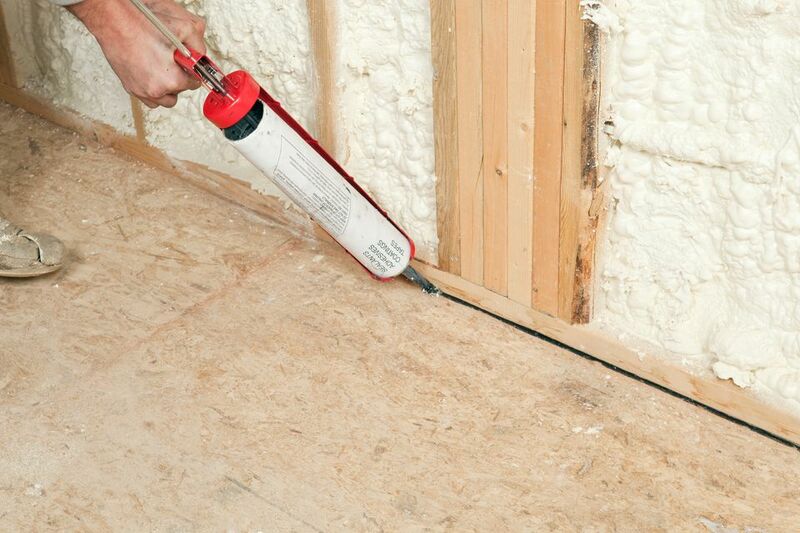 Moisture: OSB, when exposed to the weather, will eventually swell and bubble up. Minor instances of bubbling can be sanded, but for the most part, the OSB is irreparable and should be replaced. Painting Difficult: Paint does not take well to OSB. Nonetheless, it can be painted. OSB subfloor is mostly serving as a base under the finish floor (hardwood, engineered wood, vinyl tile, etc.) and even below the underlayment, in some cases. Adhesion: OSB's materials are held together with resin binders and wax. The wax makes it difficult, if not impossible, to adhere to some types of flooring directly to the OSB subfloor, requiring the installation of a plywood or cement board underlayment. Weight: OSB is heavier than plywood. Drying Ability: Once wet, OSB stays wet for a long time—slowing down the project. Low-Grade Wood: Base materials for making OSB—poplar, aspen, etc.—are very rot-prone woods. This means that the resin and wax additives "pull the weight" of keeping the material from rotting away. Nail Withdrawal: Nails pull out more readily from OSB than plywood. Not a favorable quality when nailing down flooring. A few builders say that they prefer OSB over plywood for flooring because the surface (when new) is always clean, flat, and knot-free. Simply put, many contractors find OSB to be a more consistent product than plywood or other types of material for subfloor: every sheet is the same. The other motivation for builders to use OSB is money. OSB tends to be less expensive than plywood, so builders and contractors can squeeze a bit more profit out of the project. When OSB goes beyond flooring use and into wall and roof sheathing, the profit margin will increase. OSB will work as a floor covering only in a pinch. Even then, it could only be used for outbuildings or workshops. If you are a homeowner building your workshop or laying own your subfloor in your house, consider purchasing 5/8" CDX plywood.